The lacrosse game is one of the fastest games played on two feet. The player needs to be swift enough to catch, carry, pass, and make a shot at the opponent’s goal net faster than the opposing team can catch up with him. Having the right lacrosse stick gives a player a head start in handling the ball from face-off to the final whistle. 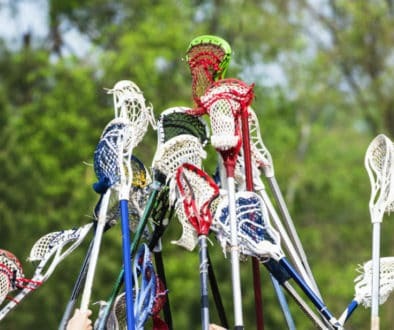 Do you know what lacrosse stick to buying for your upcoming game? The lacrosse stick comprises of two parts: The head and the shaft. The lacrosse stick’s head comes with a mesh pocket. This head can be bought already gutted with a string (strung) or separately from a line (unstrung). Choosing what lacrosse stick to buy, whether strung or unstrung can be quite challenging and confusing for a beginner player. The lower side of the lacrosse stick is the shaft. The player grasps the lacrosse stick at the shaft to make a shot. The shaft can be made of wood, titanium, alloy, aluminum, or scandium material. Although there are ready-made lacrosse sticks in the market, most lacrosse sticks are usually sold separately from the head. There are both long and short lacrosse sticks. Below is a quick guide to making your purchasing decision easy. When picking the right lacrosse stick, you should consider the material used, the player’s position, your skill level, and the type of lacrosse game (whether for men or women). The material used will determine how heavy or light the lacrosse stick is. It is also an indicator of the stick’s durability. Most lacrosse sticks are made from scandium, titanium, aluminum alloy, or composite. Lacrosse sticks with aluminum shafts tend to be more robust. However, most professional players prefer the scandium lacrosse stick due to its lightweight and durability. A beginner should opt for an aluminum alloy lacrosse stick since it is affordable and he/she is bound to replace it with a more durable stick when he masters the technique. The latest lacrosse shafts are made of a hollow, octagonal metal material to improve their grip. 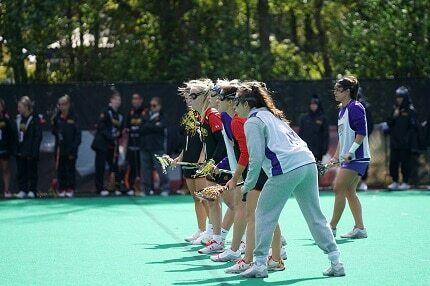 For quick movements, a player should go for a light and short lacrosse stick. Such sticks are also combined with a light head and a narrow pocket for a better grasp, retention, and shooting accuracy of the ball. Most attackers and midfielders prefer these lacrosse sticks. 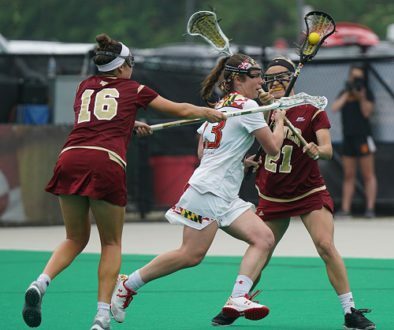 On the other hand, defenders opt for a longer and sturdier lacrosse stick that will enable them to dodge an opponent, tackle difficult combat, and still pass the ball to a teammate. Their lacrosse heads have a full pocket for effective blocking of the ball. The lacrosse stick used by men differs from one used by women. 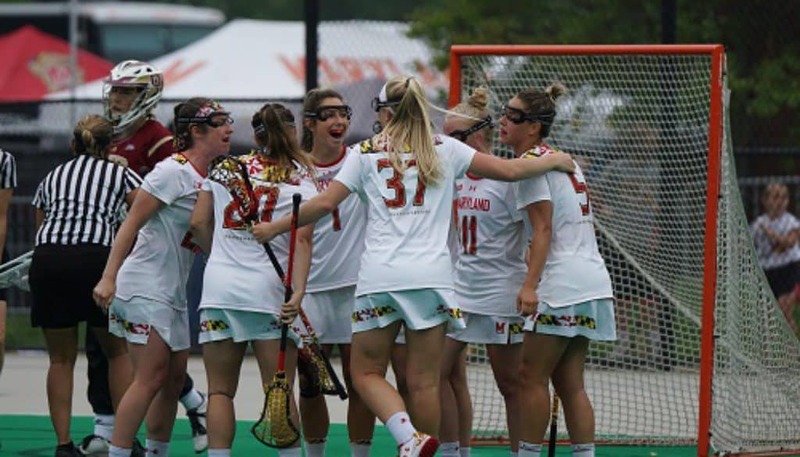 Since the men’s lacrosse allows checking unlike in the women’s lacrosse where the players aim at minimizing physical contact with other players, a woman player will opt for a lacrosse stick with less padding. In the field and box lacrosse (men’s lacrosse), where the players have no rules that restrict physical contact, the players use more protective gear to guard against violent checking. 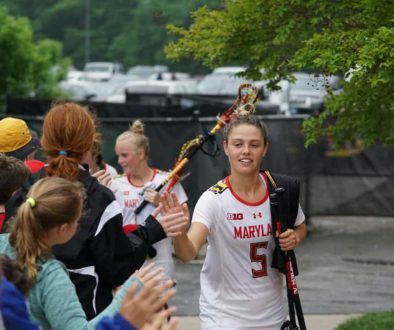 Whereas the men’s lacrosse stick choice varies based on their position on the field, the female players pick a stick with a size ranging between 35.5 inches and 43.25 inches. The lacrosse head for the male players has mesh netting whereas the women’s lacrosse head uses the traditional strings. A beginner should opt for a lacrosse stick with a broadhead. Such a stick makes it easier for the player to grasp the rules of the game quite fast. An experienced player, on the other hand, may opt for a lacrosse stick with an adjustable head. Such a rod allows the player to change his playing style with ease. Buying the right lacrosse stick will impact positively on the player’s speed and power. The ultimate goal of the choice of what lacrosse stick to buy is to enable the player to use the stick with ease as if he/she is using his/her own hands to handle the ball. This mastery is crucial since an expert lacrosse player must master his hand to eye coordination to get most shots for his/her team in the sixty minutes allocated for the game. Here is more information about lacrosse sticks. Lacrosse is an amazing game and even though I may not know how to play it because of my location, I fully understand how it’s being played. I’ve watched several lacrosse matches on TV and I enjoy the game. As for the lacrosse sticks, I prefer the STX lacrosse stallion 200. Hi, Dhayours and thank you. Yes, lacrosse is a great game. A good mix of some sports, even so, it is older than some of them. This is a fantastic article with all necessary information about lacrosse stick. Lacrosse game is getting popular day by day. Many beginners are yet searching for better stick for playing lacrosse game. Since Lacrosse stick is very important part of this game, one should not neglect to pick the right stick. I believe your article will be helpful for them. I am going to share it with others. Thanks for writing this helpful tips. Hi, Mzakapon and thank you. Lacrosse is without doubt one the sports which are growing fastest these years. More and more countries are coming in the lacrosse family. Mention about family; this is a great family sport, not at least because each position is very different, so it is ideal for mix people together. This is awesome, am actually reading about Lacrosse game for the first time. I wish sports like this should be made popular considering the fact of how interesting and tactical it is, even though it sounded like a kids game but am getting to like it the more I go into you description and mode of playing. Great post, very helpful. Lacrosse is a sport for all ages. Different rules between groups affect it. But there is much difference between girls/women’s lacrosse rules and boys/men. For me, it is extraordinary but the difference is mostly in that no conduct is allowed in the girls/women’s lacrosse. While I never got into lacrosse, I was into hockey.So I know how important it is to have the right equipment for your game. But lacrosse is very popular nowadays and having the right lacrosse stick is is crucial for playing a great game.It appears that there are different types of sticks for different players and positions. Hockey sticks just used to be straight and then they came out with the right and left handed curved sticks. But lacrosse sticks are made of different materials and each player is adapting to the stick that is right for them.My question is, do these break like hockey sticks break all the time? Yes, you are right, lacrosse is growing fast in popularity. And it is a reason for it, fun game for all ages and ideal for a community to come together and play it and watch. About if the stick breaks a lot, it happens, but it is unusual — nothing to worry about it. I love your article, and I must say it an eye-opener. I am very happy to see this. I have been thinking of the lacrosse stick to purchase; Lo and behold I came across your blog post. Hi, Abioye Olalekan and thank you. Lacrosse, just like many other games, it takes more than the talent of the players to win. Sometimes, both teams may have an equal amount of potential to win the match, but the only difference between them may be a choice of lacrosse sticks. Expert, intermediate and beginners must take their time to chose the right stick for the game and practice. As an experienced sportsman, sports kits matters. Hi, Autofreak and thank you. Yes, it takes a lot of training and understanding to be a good player in Lacrosse. The choice of the lacrosse stick count but number one is training, talent, etc. As in any sport, the choice depends on whether you are a beginner or an advanced lacrosse player. Are you a defensive player or offensive player? Since I’ve always been an offensive, for me is optimal the 40 inches long lacrosse stick. I am average amateur with a tendency to become an advanced player. Hi, Leo and thank you. The choice is not only about if you are a beginner or not because the critical factor is in which position you start. Because the position control which type of stick you need. So about that, Lacrosse is a little bit different from other sports. About me, I am a fan of this excellent game but not play it. But watch it a lot. Actually, I thought I knew all the sports games, watching your article I discovered a new “Lacrosse”. There are several questions. According to what I can see in the images I think that the clubs can hit and hurt a player, is it dangerous? Do not they wear a lot of protection on their heads, only in their eyes? Nor do I observe protection in other parts of the body also very exposed to the friction of the game itself. Hi, Cjciganotto and thank you. Like in all sports accident can happen. It is a contact sport even so contact is not allowing in lacrosse when girls and women play. But I would not say it is a dangerous sport in basic. But like in all sports, particular contact, an accident can happen as I said before. All players must have a mouthguard and eyewear. Too, arm pads are must, and I must say that most people understandable recommend using ribs pads, recommend I am 100% agree. The keeper has more thing to defend him like both throat and chest protector. Plus helmet, like boys and men, use too, and I want to add the protective cup with it. But there are differences in equipment between men/boys and women/girls mainly in that the girls and women do not use a helmet. In the end, I must mention that players use gloves too.